Magnetic Ride suspension, optional ceramic brakes, an incredible 2.5-litre five-cylinder engine putting out a staggering 362 horsepower and 343 pound-feet of torque, all-wheel-drive, torque vectoring, and a driver controllable sports exhaust. All of this, in a hatchback? It's a damn good time to be alive as a car enthusiast, and it really shows how far we've come since the original hot hatch. 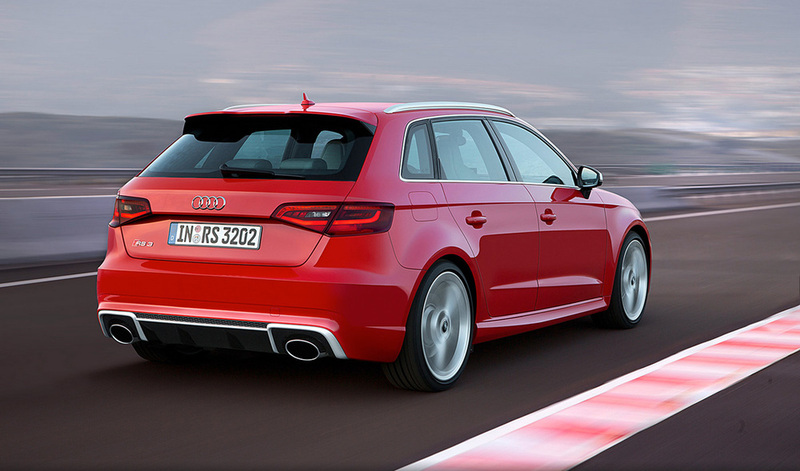 Audi has seen fit to drop these images of the new RS3 Sportback ahead of its official Geneva Motor Show debut, and from my perspective, they have done a brilliant job updating the car and sending it right back to the top of the list of must-drive hot hatchbacks. I really adore this car, having driven one for some time when I worked for Audi in the past. It has an intoxicating engine note, rapid pace with the security of Quattro, and aggressive yet understated looks in a compact package. With the latest A4 approaching the size of the previous generation of A6, and the new A6 almost coming to A8 territory, modern cars seem to be growing larger (and thus heavier and less maneuverable) each year. That's why I see this as one of the ultimate enthusiast daily drivers - almost a mini-wagon if you squint a little - it combines a practical shape for those with kids and pets that makes it genuinely useful, without the size and bloat that comes further up in the range. I daily an A4 Avant, so I know what I'm on about. Solid, impeccable cabin, totally reliable, great on the highway, but far from the last word in dynamic ability thanks to its size and weight. Performance is predictably rapid, with 60mph reached in around four seconds, and the aesthetics are suitably distinct from the regular A3 Sportback, with an aggressive front fascia with large air intakes and the new quattro-branded grille (still not sure about that personally). 19" wheels, a lowered ride height, fake aluminium mirror caps, a wider track, and a newly sculpted rear bumper round out the package. The cabin has taken on a noticeable upgrade as well of course, with quilted Nappa leather sport seats, a new alcantara and leather flat-bottomed steering wheel, RS3 badging galore, and some tidy stainless steel pedals. 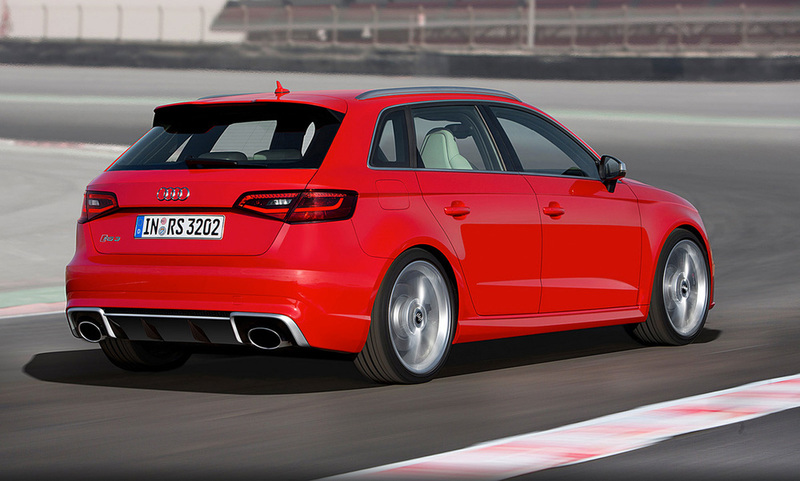 Due to reach dealerships in the Spring, there is plenty to look forward to testing for Audi fans. A new 7-speed S-Tronic transmission is being touted as having even faster shifting speed, a new progressive steering rack has been implemented, as well as the aforementioned sports exhaust with a flap to increase the aural pleasure controllable from the cabin. I'm looking forward to hearing the first impressions early next year.